How do you find the right flight school for you? Everybody is different and learns different than others. In this post I will give you some advice of how to find out if you like a prospective flight school or not. 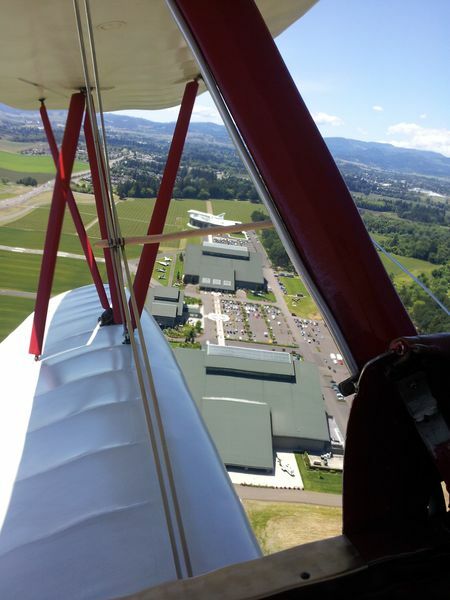 Call the flight school and arrange for a demo or introductory flight lesson! What happens on a demo flight? They typically consist of two parts. In the first part the flight instructor will sit down with you and explain the controls of the airplane or helicopter to you. They will also go over some basic aerodynamics so you get a very basic understanding on how an airplane or helicopter works and what to expect when you manipulate the controls of an aircraft for the first time. After that they will walk out to the aircraft with you. They might do a short pre-flight inspection together with you. There you will get a first idea of how the controls actually work. After the preflight you will get into the aircraft with the flight instructor. They will show and talk through the startup procedure, then take off. During that time you are on the controls but the instructor will be on the controls as well. Once you are airborne you get to fly the helicopter or airplane by yourself. You’ll experience how it is to fly an aircraft, get a feeling for how it reacts to your inputs and fly around the local area for a while. Then you fly back to the airport, possibly doing a couple landings. In the helicopter, you get to the part where you will hover the helicopter. One of the most exciting things to do and learn. The length of the flight is usually somewhere between 20 and 60 minutes, depending on if you fly a helicopter, an airplane, or maybe purchasing some additional time. The great thing doing a demo flight is, that it is close to an actual flight lesson. You get to do some ground training and some time in the aircraft flying. You also get a feeling of the atmosphere of the flight school. Is it a small flight school where you get a more personal flight training, or a big flight school where the training follows a very strict syllabus. Do you get to fly with the flight instructor you will get training from later on, or are there many flight instructors? Since everybody likes different scenarios, you get to choose what you like best. You also get the opportunity to ask questions about the flight training, the availability of the aircraft, the amount of students you are sharing the aircraft with and billing. Do you have to pay a lump sum in advance or do you pay as you go? You should keep all these things in mind, even write down questions ahead of time and get the answers then. Hopefully this post answered some of your questions about how a demo flight works. If you have any questions about it, you can give us a call, we are always happy to help. Our office is available from 8am to 5pm every day. Call us at: 503-376-0190. What are Photo Flights and why not use a drone? A photo flight is a flight in a helicopter or airplane with a photographer on board, taking pictures of properties, events, construction sites or other projects. So why not just use a drone? That seems to be just so much easier, right? Well, a drone is very lightweight, and can stay in the air only for a limited amount of time. Winds can be challenging for a drone because of its weight. There are also restrictions on what you can do with a drone. You cannot operate above a certain altitude without FAA approval, and you cannot operate close to certain airports. A helicopter or airplane is able to stay in the air for hours, if needed. An aircraft can cover a way bigger area and give the photographer better flexibility. There are specific applications where a drone makes way more sense than a helicopter or airplane. Especially if you are operating close to the ground. So both have their advantages and disadvantages. How does a photo flight typically work? We typically start with a ground briefing with the photographer and the pilot. This is to make sure both know exactly what is expected and what is of importance to the photographer or camera man and the project. This is of even more importance if a video or movie is shot. It will help keep the cost down, since we want to keep the time that we are in the helicopter actually flying as focused and short as possible. Also important is the safety briefing. No loose objects in the aircraft. 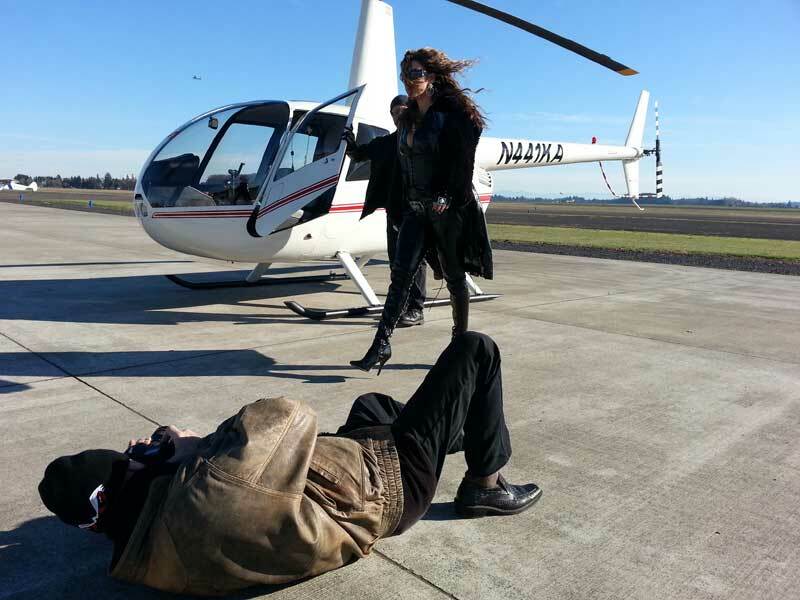 We try to fulfill the needs of the photographer but it is of the highest importance that the flight is safe. What projects have we done in the past? We have worked on film and photo projects including Music Videos, Vehicle promotion videos and lots of photography projects. Some of those include Vineyards, buildings, marathons, crop fields, construction sites and more. If you have any questions or need details on how we can help you with a certain project, please don’t hesitate to contact us. Graduating from flight school is exciting. Acquiring the skills and certifications needed to successfully pilot aircraft across the skies is a uniquely liberating accomplishment. Knowing how to fly an aircraft and having the licensing to do so gives you the freedom to go anywhere in the world that you would like to go, at your own discretion and with a little more control over the circumstances than flying commercial or even private. After you graduate, though, you may wish to think about what is next. Will You Own Your Own Aircraft? 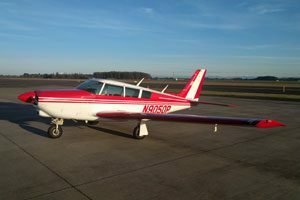 Many people obtain a pilot’s license with the intention of owning a personal aircraft. Owning a personal aircraft can give you access to the skies so that you can roam as you please – within reason. However, owning an aircraft comes with a lot of responsibilities and can become pricey. When you own your own craft, you must purchase aircraft insurance, figure out where you will park your aircraft, keep the craft fueled, and keep up with regular maintenance and certifications. Many owners are finding shared aircraft ownership to be more desirable than private ownership. When you share an aircraft with others, you share the costs of purchasing the craft itself and you also share all of the costs of ownership and maintenance. You may have to work with the other owners of the craft to be sure that it will be available when you need it, but this is often less of a problem than most pilots think. Pilots often tend to actually log few sky miles, so the lowered costs may be worth more than the sacrifice. Another flight option that is becoming more widespread is aircraft rentals. Companies rent aircraft to certified pilots to use as needed. This option eliminates many concerns, such as where to park the aircraft and where to fuel up. Rental companies also handle insurance needs and maintenance, charging the pilot renting the craft a set rate that covers all costs. Many pilots like this option, as it allows for variety in the type of craft that is flown from one excursion to the next. Will You Pursue a Career in Aviation? There are many career options available after flight school. Working with rescue services, working with utility companies to supply necessary services, taking travelers to their dream destinations, and taking vacationers on flying tours can all be highly fulfilling careers that allow you to do what you love. Your options may vary based on the type of training that you receive, but licensed pilots are in high demand for many industries. Last weekend I was very lucky. 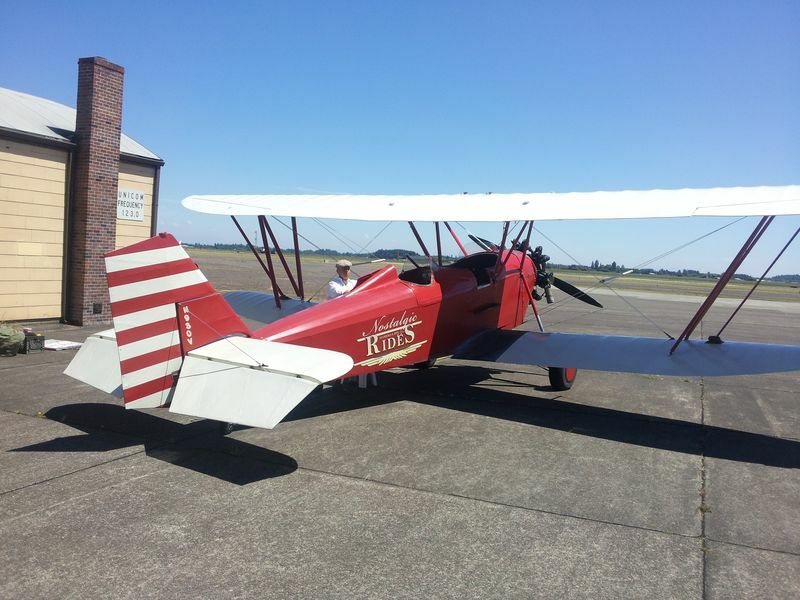 A guy with a vintage airplane, a 1930 New Standard D-25 biplane showed up at the McMinnville Airport. He was was dressed accordingly with goggles, pants and everything. We joked about he should have a little crank attached to his cell phone because it wouldn’t fit the theme otherwise. He was waiting for a friend to take up for a short ride. Talking to us at the FBO he said that he had room left in the plane and if we would like to go up as well. Of course! So we climbed up into the front seat. There was actually room for 4 passengers. He fired up the engine and off we went for a ride over the museum, the city and back to the airport. 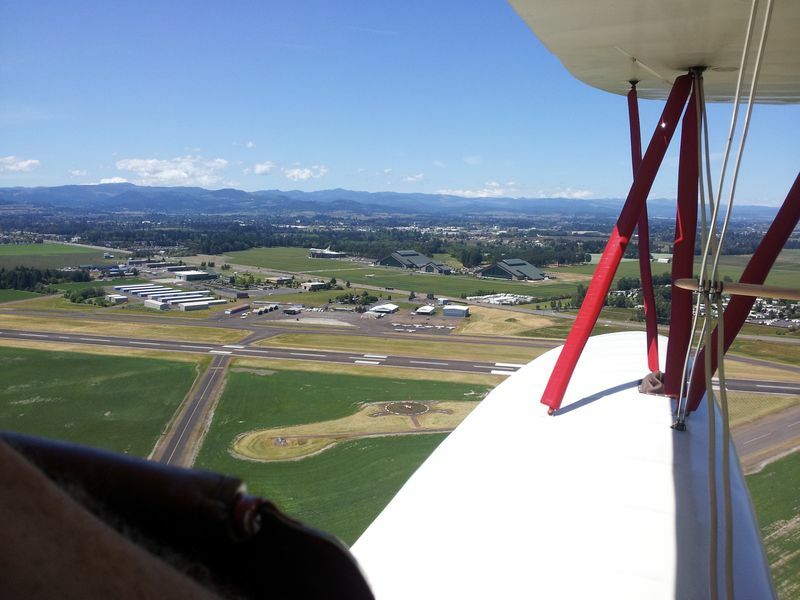 The feeling of flying a vintage airplane was great. The air hitting your face, just sitting there in the open cockpit hearing the roaring engine and the wind going through the strings was an awesome feeling.